Venues NSW (VNSW) is an entity within the NSW Office of Sport. The Office of sport comprises; Sydney Olympic Park Authority, and the Sport Infrastructure, Sport Development, Sport and Recreation Services and Corporate Services Groups. Venues NSW was created as a statutory Authority on 2 March 2012 to establish, manage and improve Government owned land, sporting and entertainment facilities in the Hunter, Western Sydney and Illawarra effectively and efficiently for the benefit of the people of NSW. From April 2017 Venues NSW has had responsibility for Stadium Australia (ANZ Stadium) at Olympic Park in Sydney. Venues NSW is a Public Non-Financial Corporation and manages these publicly owned venues in one portfolio to optimise community and commercial outcomes. Venues NSW is governed by a Board which determines the policies and strategic plans of the agency, sets annual budgets and performance criteria. The NSW Government through the Office of Sport employs the staff of VNSW. The Manager Asset and Facilities is responsible for managing McDonald Jones Stadium to ensure the asset remains safe, commercially viable and adheres to all statutory requirements. The Manager is responsible for the day to day operations of the Venue, ensuring contracted suppliers meet service delivery standards, supporting event preparation and liaising with key stakeholders. Manage and maintain assets within the Venue precinct including oversight of scheduled and ad-hoc maintenance. Manage all routine and preventative maintenance requirements of the Venue, including procurement, and overseeing venue staff and contractors as well managing minor and major capital work programs and budgets. Implement the Venues’ Asset Management Plan and maintain the asset register. Manage the general asset security overlay of the Venue, including CCTV, access management, alarm monitoring and associated systems. Ensure the Venues’ compliance with all relevant Statutory and Regulatory requirements, including Work Health and Safety, Fire Safety, Environmental requirements and all VNSW and venue specific risk management policies and procedures. Manage the conduction of pre and post event risk maintenance and recommends rectifications as required to ensure the Venue is safe, operational and presented to a high standard. Must be contactable outside of business hours on a business supplied mobile telephone to deal with urgent matters. 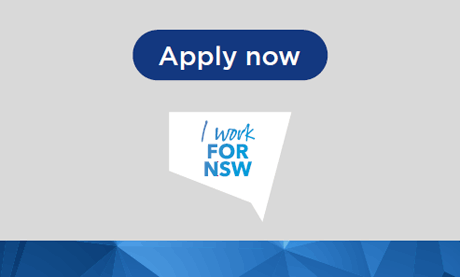 To apply for this role you need to submit an application via http://iworkfor.nsw.gov.au/, Job Reference No. 00006LEA. Please provide an example when you were able to manage a capex project from start to finish? Please outline a difficulty you encountered and how you managed to solve the issue. Please provide an example of an improved service contract you were able to negotiate? Please outline the process undertaken and the final result. Venues NSW is committed to building a workplace culture that values diversity and inclusion. We encourage applications from Aboriginal and Torres Strait Islanders, people with a disability, women, LGBTI, and people from culturally and linguistically diverse backgrounds. If you have any accessibility requirements, please liaise with the contact officer. We provide reasonable adjustments for people with a disability during the recruitment process and on employment.